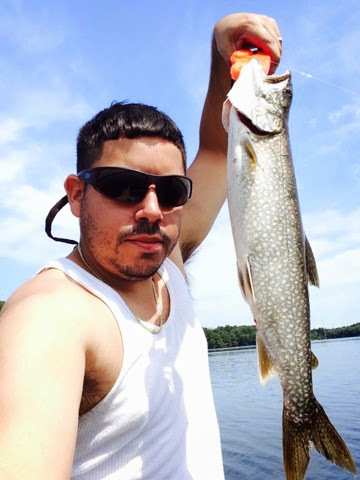 I was so happy to finally get the time to get out there and fish. 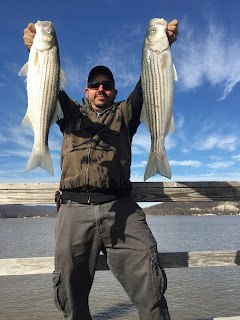 I headed out with my friend Justin to go fishing for the official opening of NY Striper season on the Hudson. I was so excited that i left my house without my bait(left in the fridge) that i had to turn back after 20 min of driving north . 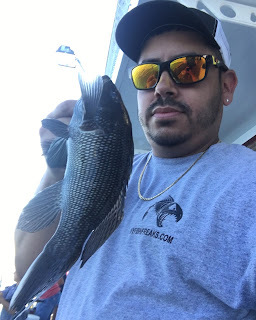 I finally went back got my bait and then put the wrong GPS cooridinates and drove to a wrong location and was lost for 30 min. 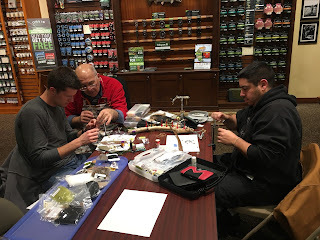 Last Night afterwork I joined the Yonkers Ridgehill Orvis Store Fly tying 201 class, led by Len. We sat there and played and tied and played and tied and watched as he amazed us with some of these tieback techniques along with the whip finish (that I'm still fighting with) and he made it look so easy. 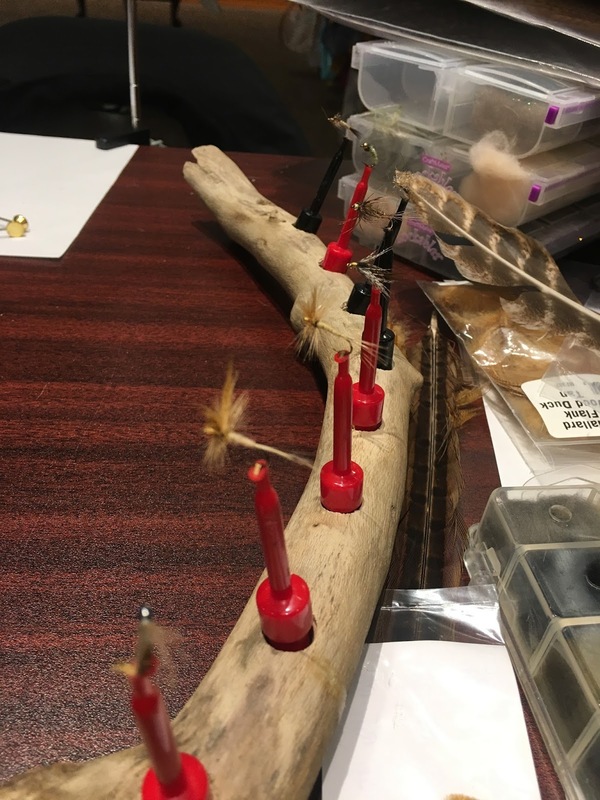 Now as you can imagine my flies once completed were not looking half as nice as our instructers flies but none the less i am confident that my flies will catch fish! 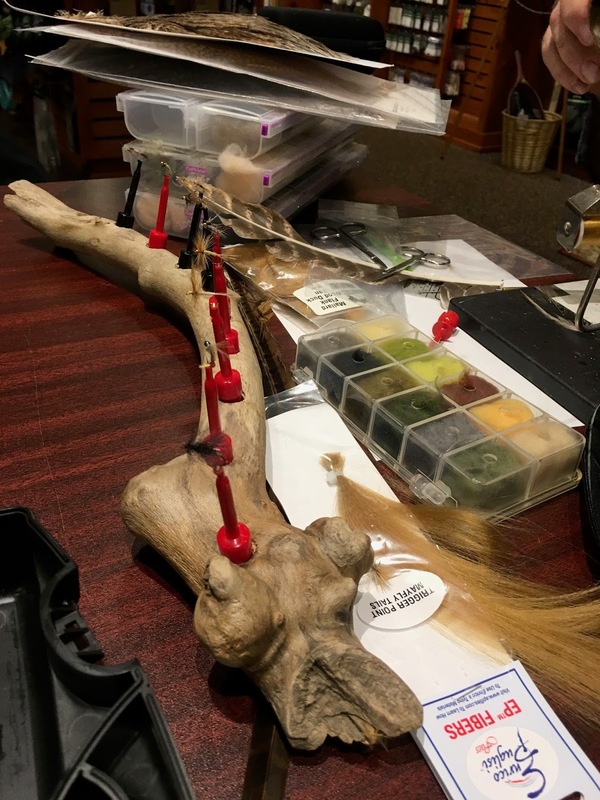 I kinda like the imperfections and i think they will stand out (in the water) in a good way to cause a triggered strike by some quality trout! 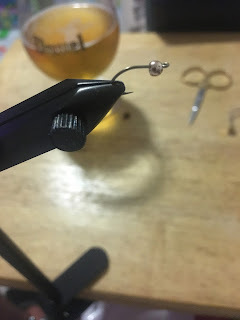 We were all joking at the end of the night about how you can tie a perfect flies but a kid will catch a huge trout on a broken lure or a fly that was unravelling and falling apart. But the perfect Fly only caught the angler! Now thats a fact!!!! At the end there is no wrong fly (as long as it catches fish) there is only bad knots. It is up to our imaginations and the personal choices of the materials that we decide to use in our flies that make this art of fly tying really true. Enjoy your 2017 fishing season and I wish you all many more to come! 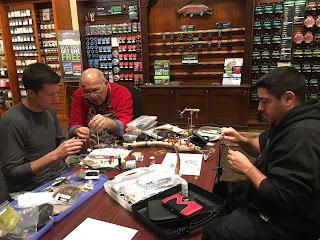 As most of you know i am a Avid angler of all sorts but i am fairly new to Fly Fishing, With that said I have entered into the world of fly fishing very slowly and taking it step by step. 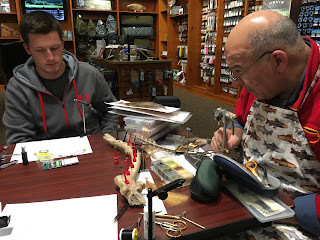 In my last post i wrote on how I attended a fly tying 101 class at the Orvis in Yonkers NY. It was then and there that i learned not only the basics of Fly tying but I also learned that primitive man has used the skills of trickery for hunting way back then and it was for survival and how lucky i am that I get to try and do this as a hobby. We live in a world that we can have anything we want at a flick of a key, So i humbles me to sit down and practice tying a simple nymph and not even get it exactly correct but to know that this will work on catching a fish. Of course some of us would much rather spend our free time on the water fishing and so would I but think about "THE PREP" "THE DEVILS IN THE DETAILS" its quite fulfilling knowning that the next time I get out on the East branch Stream System that my flies will be the primary flies I use and the flies I have purchased in the past will be my back up flies. 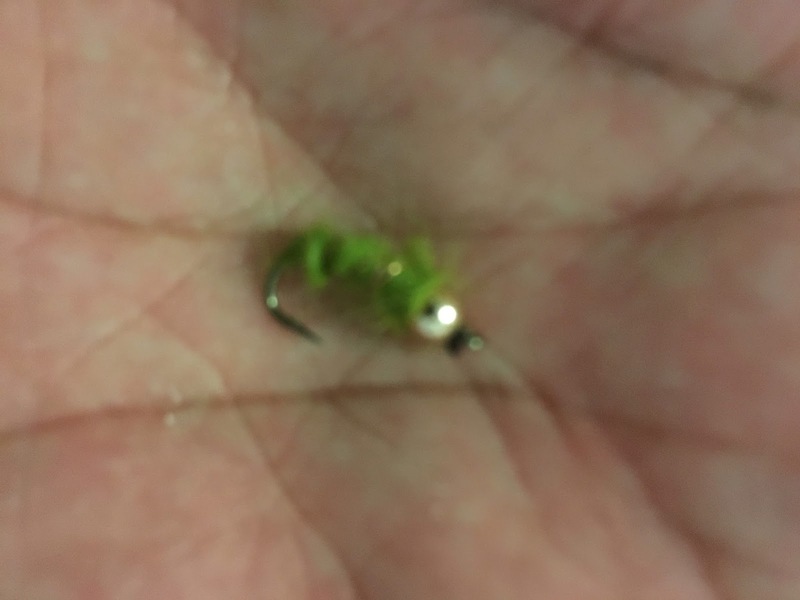 Now don't get this twisted, I am not telling you to not purchase store sold flies. 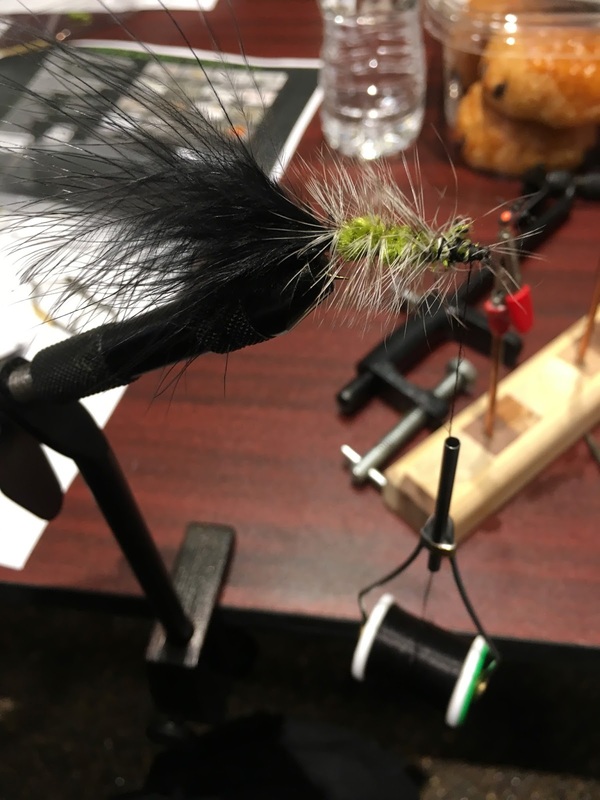 On the contrary I think everyone should purchase flies as well as tie there own. 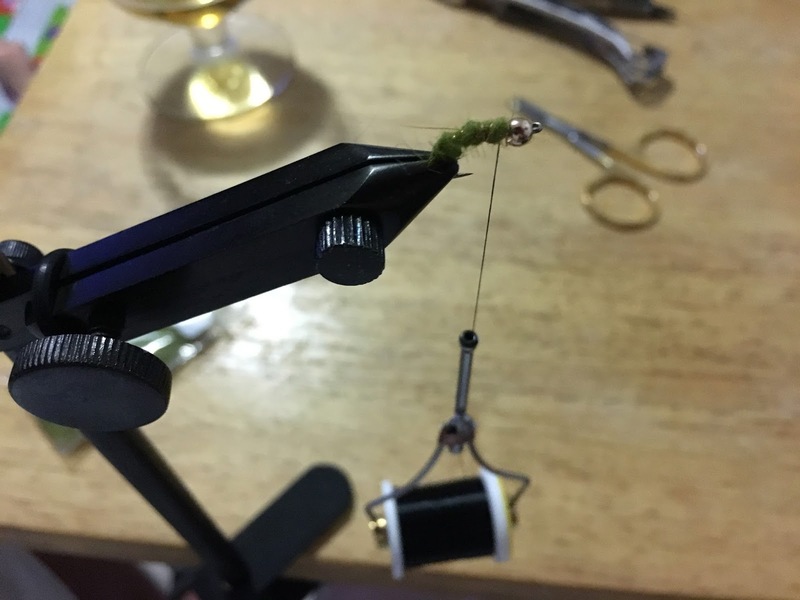 Its a great Hobby and "Way of Life"
Today was my first time ever atemping to tie a fly. 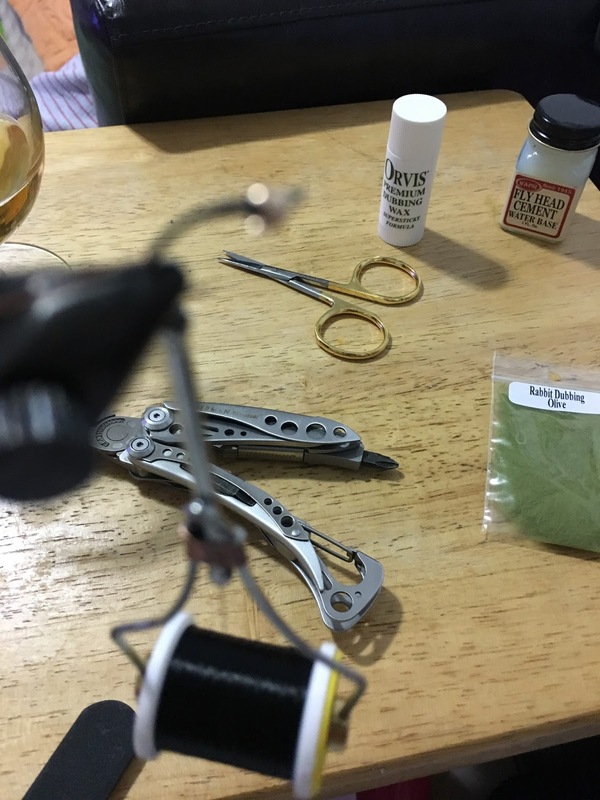 A little after i got into fly fishing i wanted to learn how to tie my own flies. This doesnt mean i would not purchase flies, it only means i wanted to be capable of tying some on my own, kind of a goal. I was not able to do so for too many reasons to list right now but finally about 4 years later i finally had an opportunity and the time to take a "fly tying 101" class. 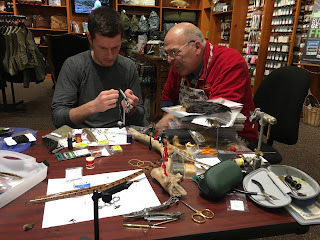 So this morning i high talked it to Orvis in Ridgehill Yonkers NY where i was greated by an awesome staff (Len , Mike & David) and they taught me the basics of tying flies. I learned so much today but the biggest leson i learned is its all up to the eye of the beholder and there is no wrong or right as long as a fish will bite your fly! 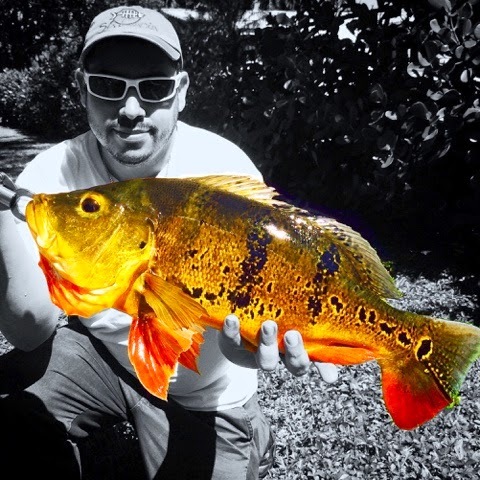 I have traveled to Miami over 70 times in my life and have never really fished it like I should have (being that I'm a avid fisherman) July 2014 i scheduled a day while traveling to Miami (for work) to go fishing with a friend of mine (Scott) that's going to school in Miami and his schedule ended up conflicting with mine. 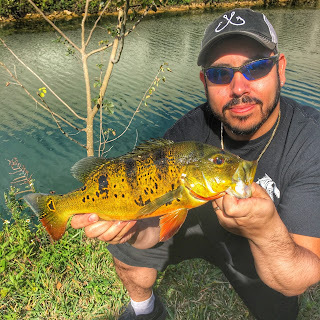 Even though it sucked that once again I couldn't go fishing in Miami This was in fact a good thing. 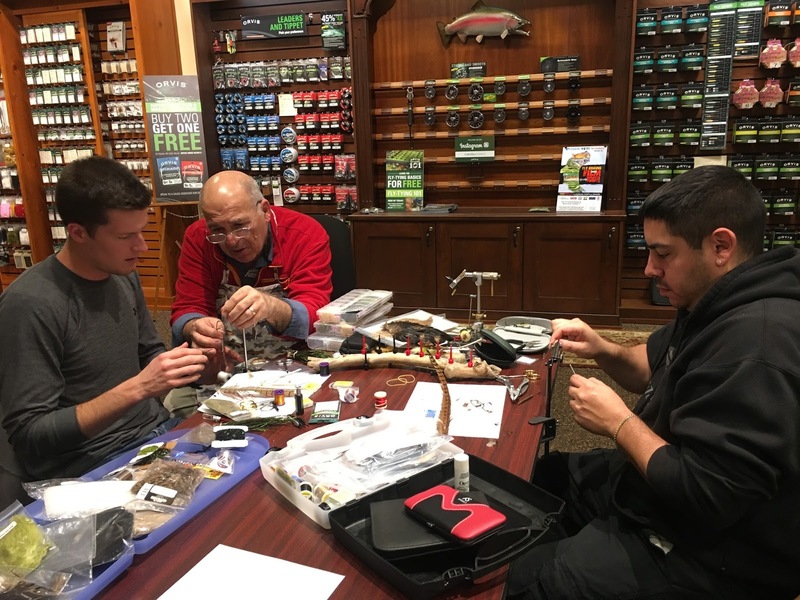 Scott of @Scottsfishingtails ended up getting more experience and fishing with more people and gaining lots of useful knowledge. 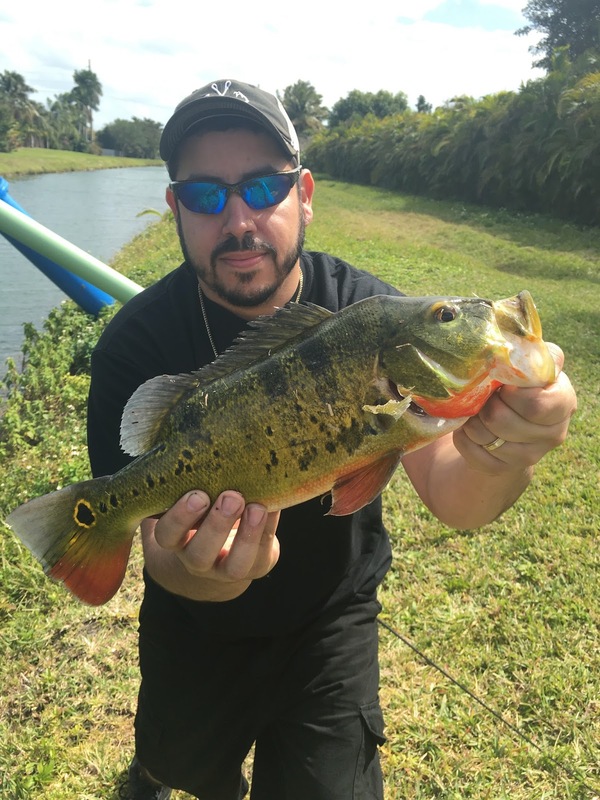 Once he found out I was coming back to Miami in Feb of 2015 he cleared his calendar for me to go fishing with him on the day that I could get off of work regardless of his clients begging him for that date. 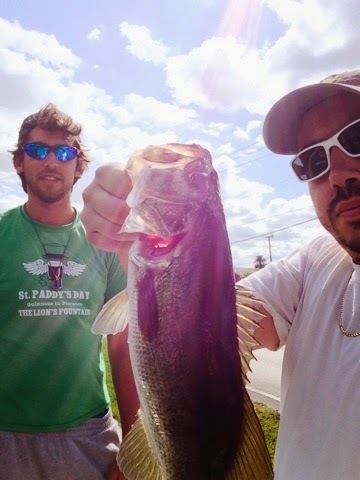 So late Friday morning me and Scott headed out to the local bait shop and straight to one of his honey holes and on the First Cast! He put me onto a 7lb huge beautiful Butterfly Peacock Bass ( My first ever) I was so happy, thankful but at the same time I felt vindicated, like I deserved this, had not fished for a long time. 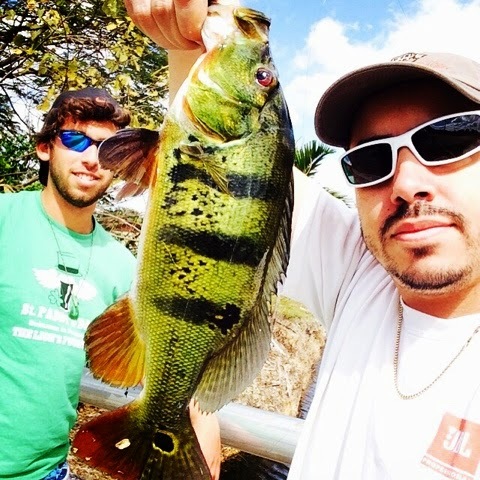 So we finally left the fishing honey holes and when I thought we were done he ask me are you ready for a SLAM! 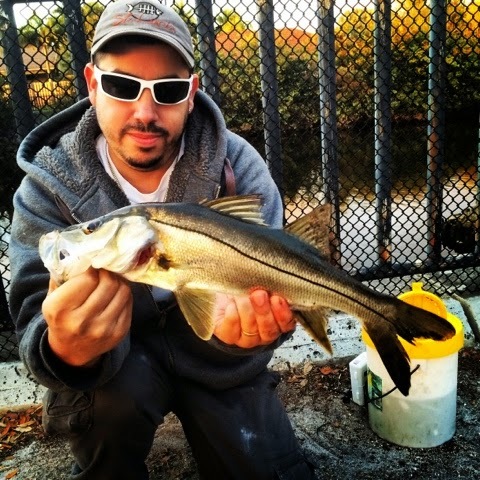 "We are going for Snook" he Gauranteed me a Snook. 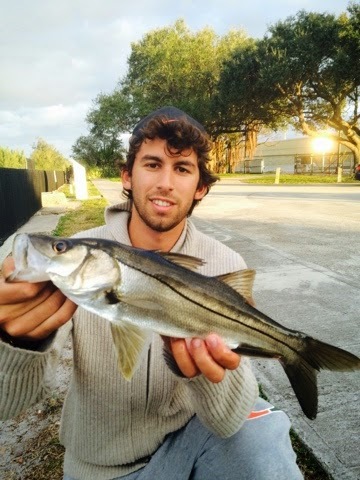 I though he was Crazy because the temps dropped really low that I had to put on a sweater in South Miami. We headed out for the snook location and when we got there, there was some "Salty" Old men and they told us "your not going to catch anything tonight"
Scott told me these guys were really good. I didn't care I wanted the Slam! 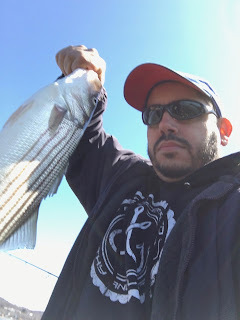 PS I also hope to get fishing again soon but I'm not in a rush! 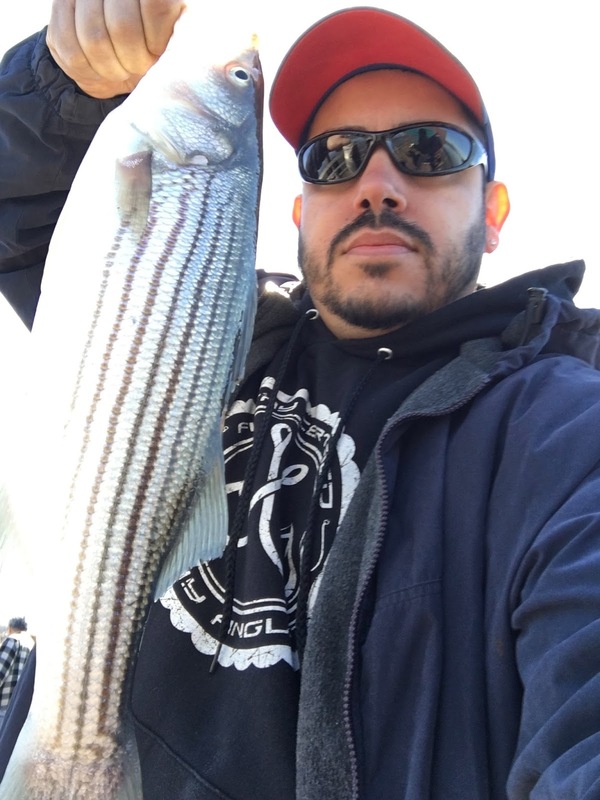 I have not been fishing in a couple of weeks and I really had the ich to get out there so I hit the Rye side of Kensico in search of some trout action. Got out around 730ish and started trolling crank baits and didn't get a hit for hours. I marked fish in different sections of water speratically but nothing solid. 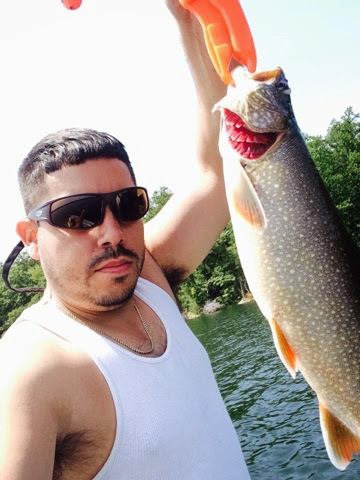 And then finally at 11am I got a strike but wasn't able to keep the fish on the line. I thought it would be a Skunky day. 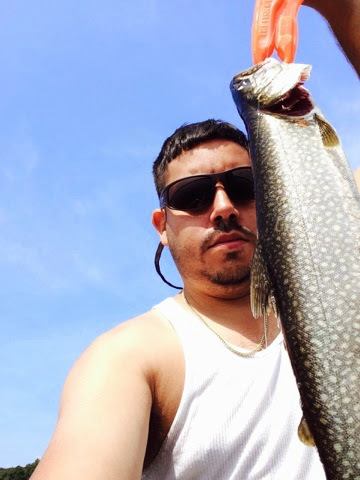 I almost gave up but I kept the faith and stuck it out "Eye of the Tiger" ( $NWM$ ) I finally got a decent lake trout on the line and was able to land him. 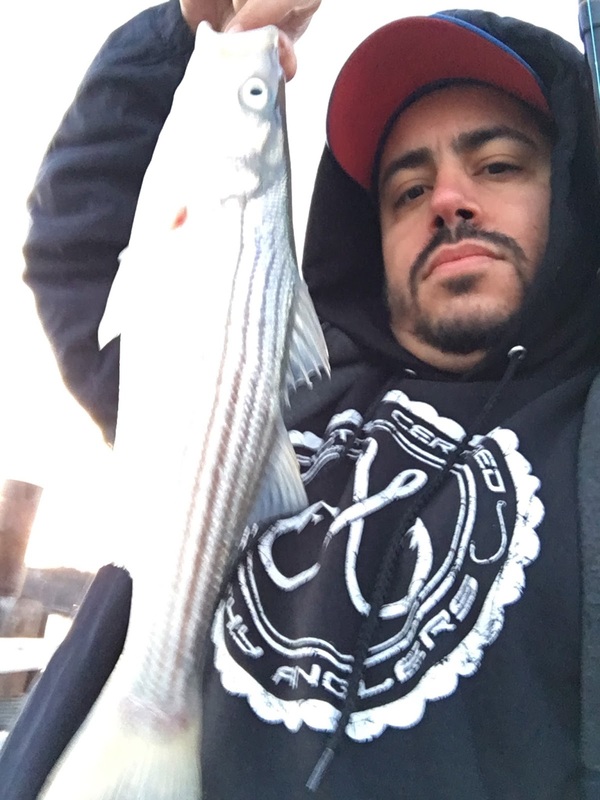 Decent size but kept doing the death spiral and wrapped itself in the fishing line in the net. 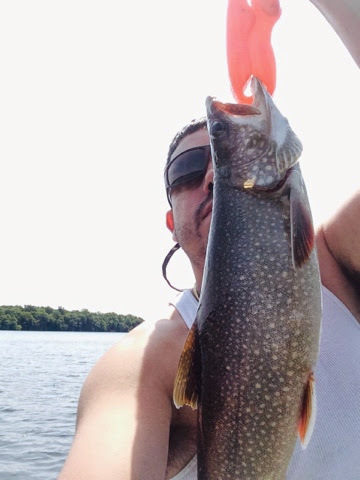 I unwrapped him quick, snapped a pic and revived him and released back to grow bigger! Fresh! 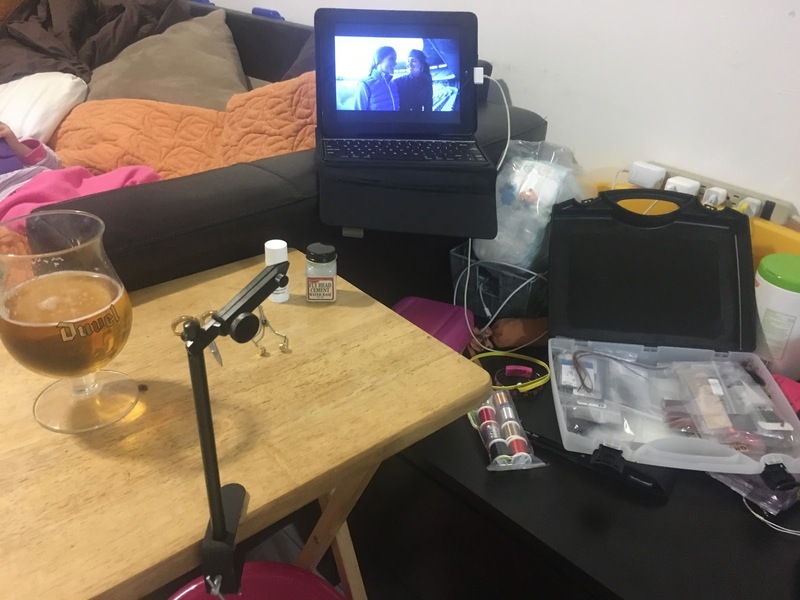 & Salt Put your time in! 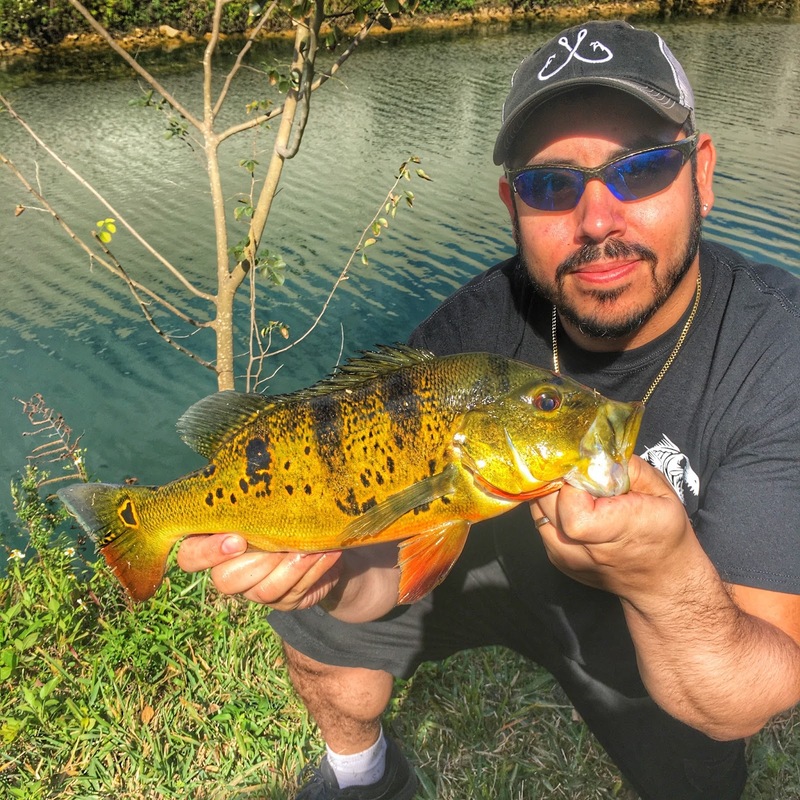 Brown Can Change A Frown!